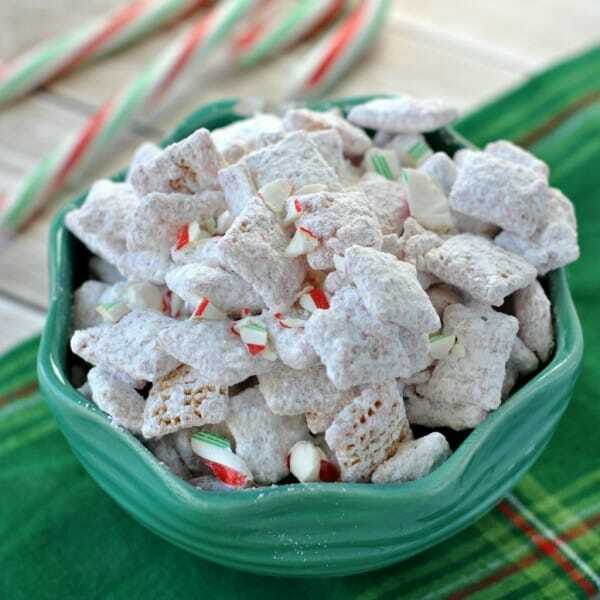 Whether you call it Puppy Chow or Muddy Buddies, this delicious snack got a holiday makeover! Peppermint style. Did you know you can buy Peppermint Chex Mix in the stores now? I believe they call it Peppermint Bark Muddy Buddies Chex Mix. Yeah, for $4 a bag, which equates to one serving in my house. Or, you can make your own and have a huge gallon sized ziploc bag full, ready to munch on all week long! I choose option B.
Puppy chow is so easy to make. 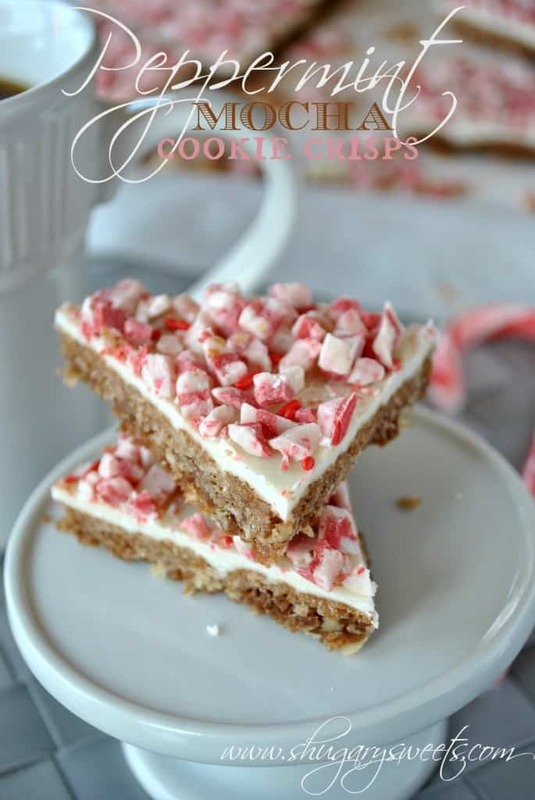 I started by melting the vanilla candy coating in the microwave with the Andes Peppermint Crunch baking chips. 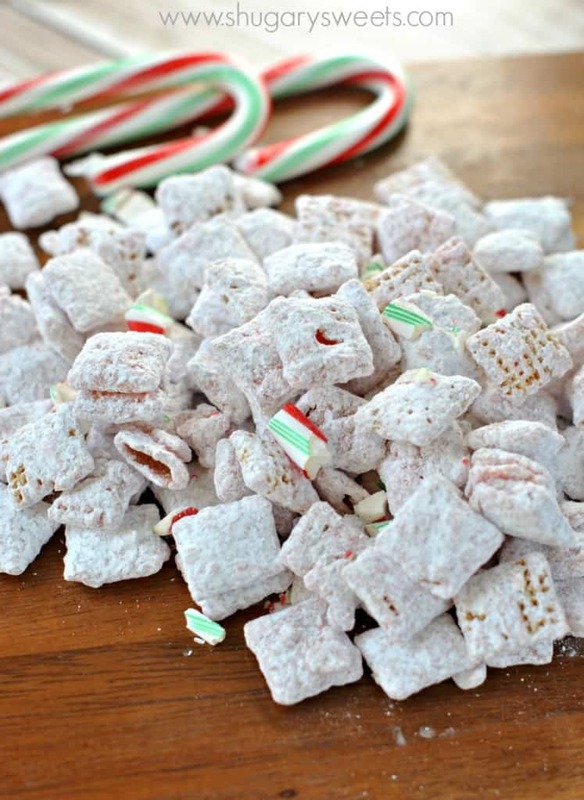 Pour it over your cereal, add some powdered sugar and crushed candy canes and you have yourself a delicious snack. I stock up when I see those Andes Peppermint Crunch baking chips in the stores. I think YOU should too, cause they run out of them early in the season! At least in my stores they do. If you can’t find them, you can use Ghirardelli Peppermint Bars, melted down. If you can’t find those, just add extra crushed candy canes to your melted chocolate. And if you can’t find those, go buy some Chex Mix. Ha! And before you send me any hate mail, this is for HUMAN consumption. Not puppies. Yes, you’d be surprised at how many people think this is dog food. 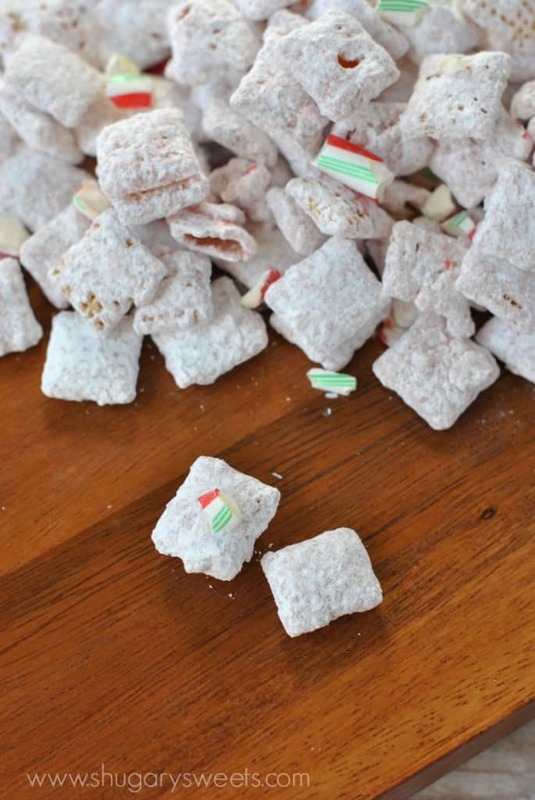 I grew up calling it puppy chow, but I hear many others refer to this treat as Muddy Buddies. It’s not made of mud either. Just sayin. What’s your favorite holiday snack? You may also want to check out my Christmas Holiday Cheer Pinterest Board. 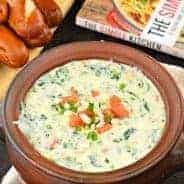 It’s filled with great holiday recipe ideas! Place cereal in a very large bowl. Pour melted chocolate over cereal. Add about 3/4 of the crushed candy canes. Mix until all the cereal is covered in chocolate. Add powdered sugar and stir until fully coated. 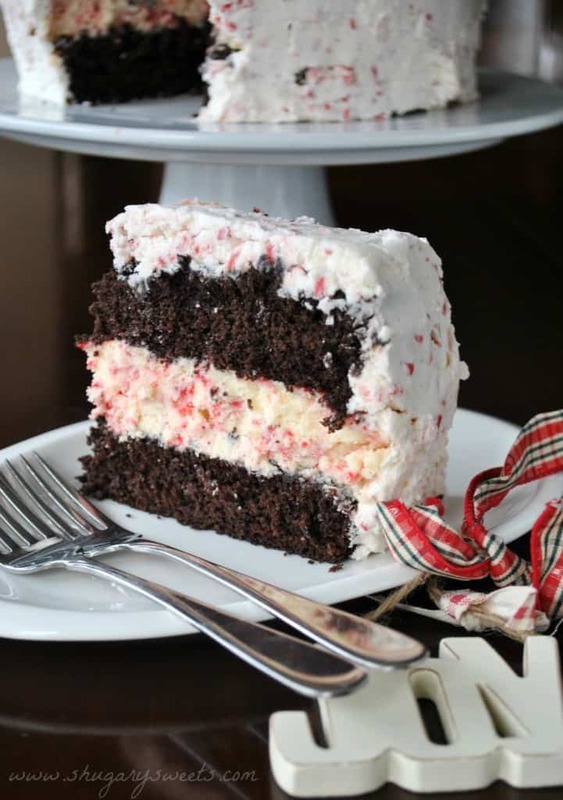 Sprinkle with remaining peppermint candy canes. Store in an airtight container for up to one week. Today’s recipe was originally published on November 21, 2013. I can only imagine how addicting this must be! Very. Like any puppy chow, you just can’t stop until you’re completely covered in powdered sugar! I didn’t know Andes made a peppermint version! I must go find them. We just bought a bag of peppermint chex mix that was one sale and its already gone:) This sounds addictive and delicious! 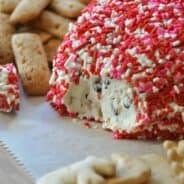 Just bought a bag of those Andes Peppermint baking chips yesterday! Now I have a good use for them! I stock up on those Andes mints every time I head to the store during the holidays. I can only imagine how fast that puppy chow would disappear if it was in my hands 🙂 Yummo!!! Love that you made a puppy chow with those Andes peppermint crunch chips! A batch of this would disappear in no time at my house! I can’t wait to try this! I love those Andes mints. Buying puppy chow at the store is SOOO wrong!!! This looks amazing!! 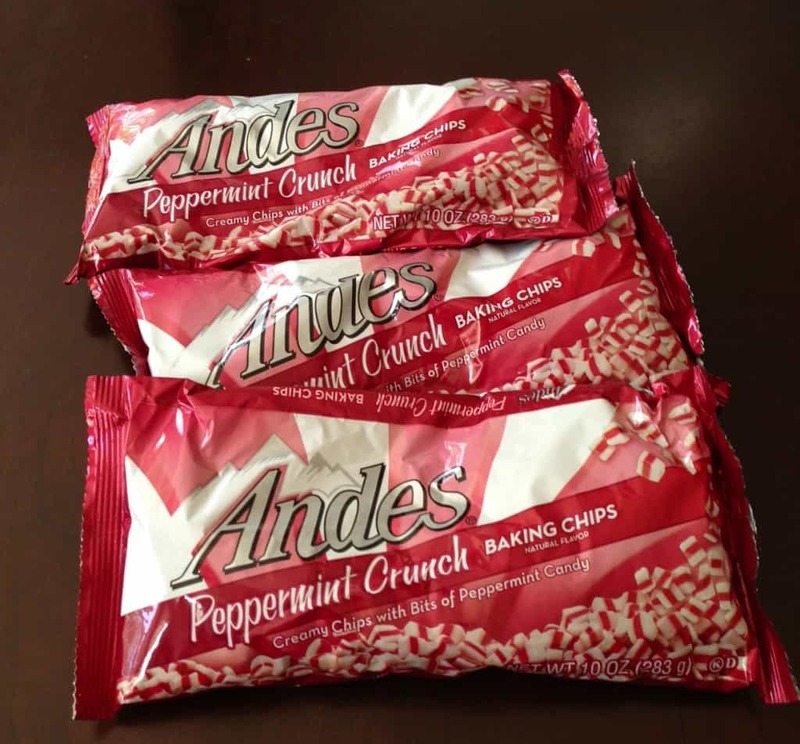 Love the andes peppermint crunch chips!! Yum! 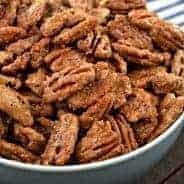 I love different flavored puppy chow 🙂 Thanks for sharing. Yum! I love puppy chow – and this version looks totally delicious! I never make puppy chow for myself, though, for the exact reason that I’d probably end up eating the whole batch. Haha! This looks delicious! I need to make some of this for my husband to take to work with him! Aimee, great idea! I”m thinking this would be perfect for teacher/neighbor gifts in a cute little jar decorated for Christmas. I love those baking chips from Andes! 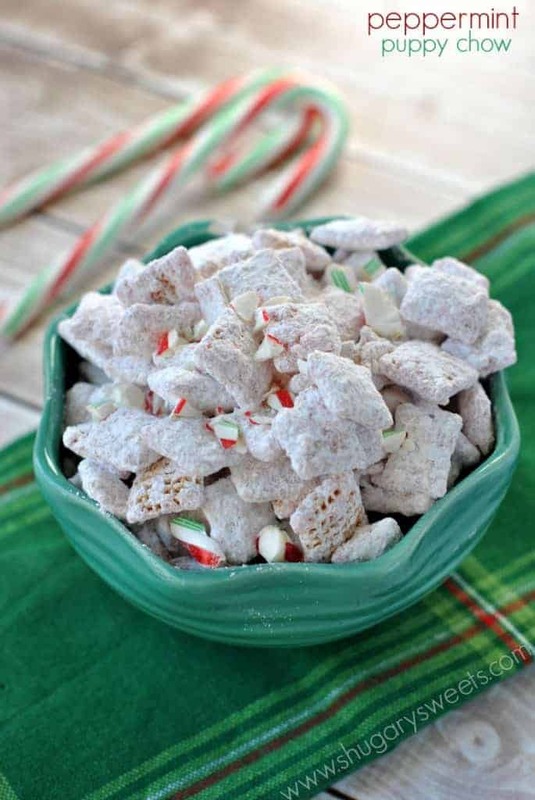 I stocked up on them last year, haha – this puppy chow is so perfect for the hoildays! Thanks Julie! I like to stock up every year too!! 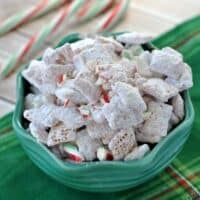 I love puppy chow and this peppermint twist sounds delicious! I will have to keep an eye out for those Andes chips before they run out! What a great idea. I hope I can find something similar for baking/making these here in The Netherlands. And I love the name: Puppy Chow. It looks like some crunchies I buy for my dog 😀 Love it. 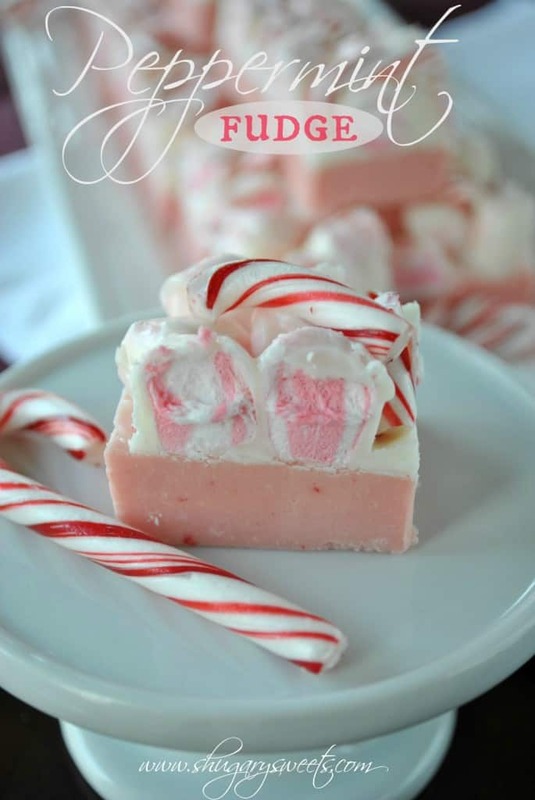 I just made this and it is delicious…..my 7 yo granddaughter is going to love it. I found a bag of already chopped candy canes at Walmart, and used them……much easier and less messy. Thanks for a great recipe. We always called it puppy chow too, so I’m with you on that! As for this, perfect gift for my boss who would live in a candy cane given the choice! ThNks for sharing! I hope everything goes well to you in this year. As you know, Christmas is comming soon, you’ve already decorated for Christimas, right ? I also love Christmas. This year I’m going to put small a tree for Christmas in my room.